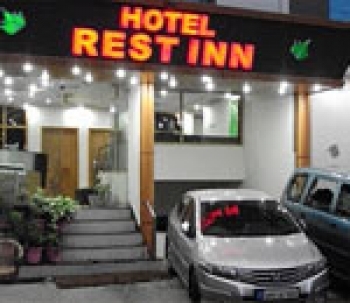 The Hotel Rest Inn is a budget hotel in Haridwar which showcase the contemporary international design, yet simple. The hotel possesses an excellent location in Haridwar. This is a classic style budget hotel with some of the most exclusive interiors and ambience. Business guests will appreciate fully equipped Business Centre, meeting rooms and travel desk. You are sure to find all you need at the Rest Inn & Suites Haridwar, one of the newest hotels in the Haridwar. The Rest Inn hotel is located in the heart of the city which is only ten minutes walking distance from Har-ki-Pauri and fifteen minutes away from the Haridwar railway station. City center is just 2 kms from hotel, Har ki Pauri is 300 mts, Railway Station and bus stand are 2 kms from hotel. 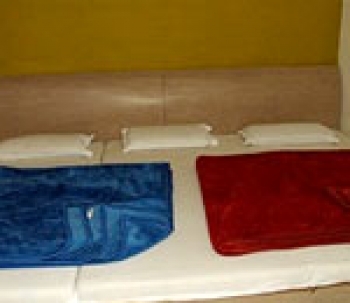 Hotel Rest Inn has exclusive and artistically furnished rooms with modern amenities. The services at hotel will help make your stay enjoyable during your visit to Haridwar. Whether you are traveling for business or leisure, The Rest Inn hotels superior services will help make your stay comfortable and convenient. There are elegantly appointed rooms with an eye for historical detail & cultural themes of Haridwar with attached modern bathroom with round the clock hot and cold water. There is a Multi Cuisine Restaurant in Rest Inn hotel which serves delicious Indina Veg food.